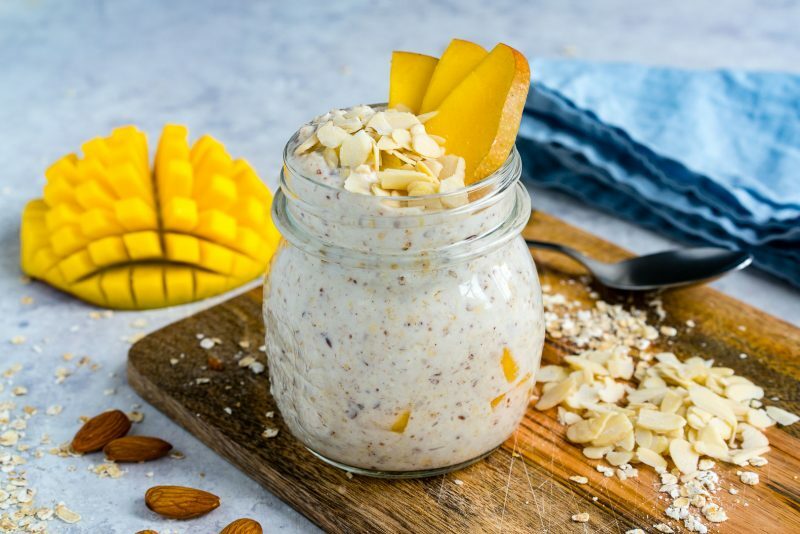 Mango Coconut Cream Overnight Oats for Clean Eating Mornings! Place all ingredients (besides toppings) in a medium sized jar fitted with tight lid. 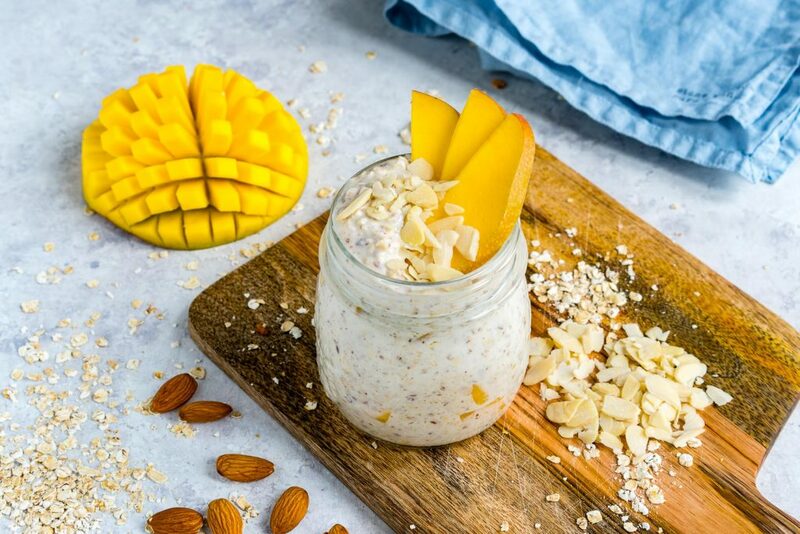 Before serving, top with fresh diced mango and sliced almond. 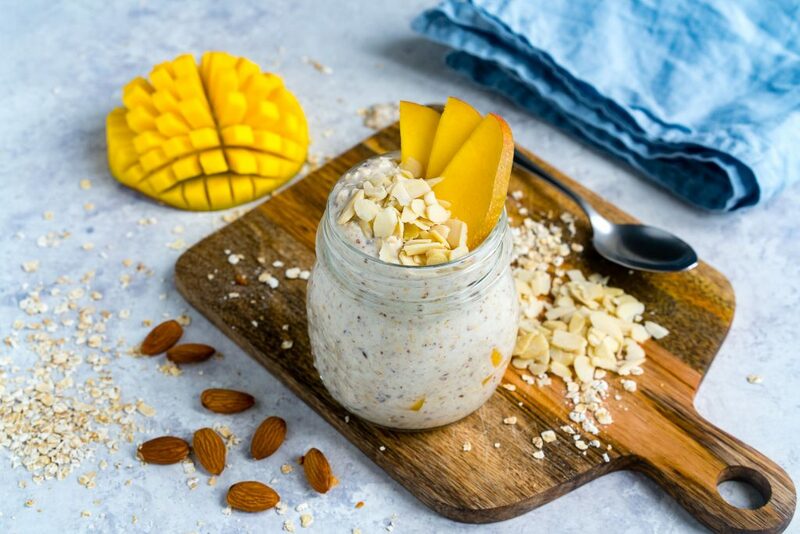 Prep a few of these for your week ahead – place in the refrigerator, give a little stir in the morning…breakfast is on! Stir well and then cover and place in the refrigerator for at least 4 hours or overnight.